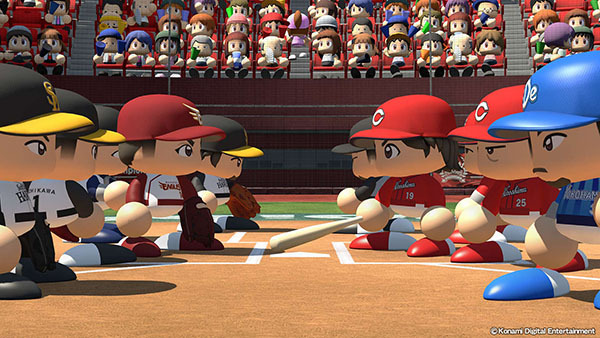 Konami has released the free-to-play Jikkyou Powerful Pro Baseball Championship 2017 for PlayStation 4, PlayStation 3, and PS Vita in Japan. The download-exclusive Powerful Pro features a variety of modes that you can play free of charge, including the new “Championship” mode, and “Versus” and “Practice” modes. It has player data from 2017, and you can compete against other players online in Championship mode. Additionally, there are no paid in-game items—you can play it completely free.